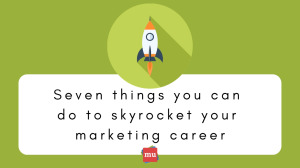 Taking your marketing career from ‘good’ to ‘sky-high’ is a long and arduous trek. It may take a ton of late nights, countless cups of freshly brewed coffee and of course, the seven things listed in our infographic. Are you up for the challenge? media update’s Jenna Cook shares seven awesome ways to put you on the fast track to a successful career in marketing. Every day in a marketing job is a chance for you push yourself, and your career, a little bit further. And while it might seem like reaching your goals is an impossible task, our top tips are here to ensure you’re making moves in the right direction. 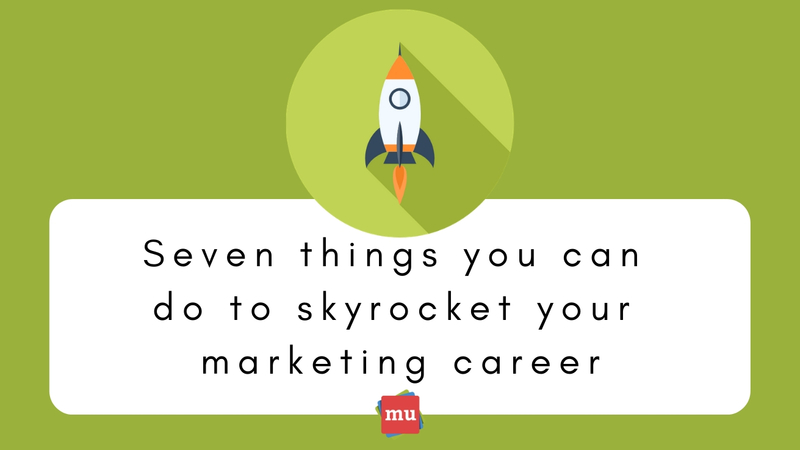 Do you know of any other ways you can get ahead in your career as a marketer? Let us know in the comments section below. In the marketing world, you can choose to be a jack-of-all-trades or the master-of-one. Find out why it pays to focus on your niche in our article, Hey marketer – you’re not a unicorn, but here’s why that’s awesome.